8 Amazing Benefits of Banana: Banana is a Creamy, rich, and sweet fruit, which is loved by many people from infants to elders. Bananas are rich in vitamins and minerals and are good source of fibre. Most people eat banana with out knowing their actual benefits. Here we are going to discuss about the amazing benefits which happens when we eat banana fruit. Banana is rich in potassium, a mineral which is used to extract the calcium from the foods and also suppress the excretion of calcium in the urine, there by helps to maintain stronger bones and teeth. Taking a banana or two daily, reduces the risk of brittle bones and osteoporosis. 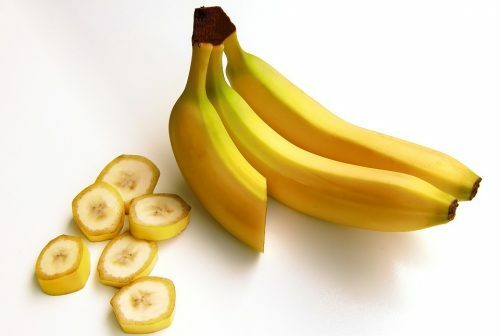 Banana is rich in fiber and fiber is a component which is very helpful to digest any foods in your stomach. Sufficient fiber in your diet will speed up digestion. When food sits in the stomach, undigested, your stomach is forced to constantly produce acid to try digesting it. When this excess acid is pushed up into the esophagus, you will suffer heartburn pain. Remember to take ripe banana which can help balance your stomach’s pH and enhance the protective mucus layer and relieves pain. 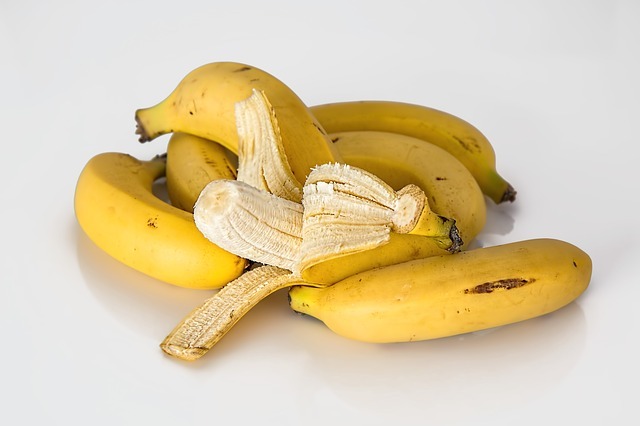 Bananas make a great work snack to combat that mid-afternoon slump. They’re a good choice for weight loss too – a small banana contains about 100 calories and will satisfy your sweet cravings. If you can replace candy bars and other junk foods with bananas, it’s a helpful step towards losing weight. Not only will your body thank you for the vitamin and mineral boost but the energy release will be much more consistent. Bananas are high in vitamin B6. This vitamin is important for creating hemoglobin for healthy blood. B6 is also involved in maintaining proper blood sugar levels, synthesizing and breaking down amino acids and producing antibodies for a stronger immune response in your body. Just one banana has a full fifth of your recommended daily intake of vitamin B6. Recent research shows, bananas that are fully ripe (with dark spots) produces a compound called TNF–a. This is a cytokine believed to have the potential to increase white blood cell count, thus enhancing your immunity and combating cancerous cell changes. Though this is not proved, increasing overall fruit consumption in your diet has been consistently linked to a lower risk of developing various cancers. Not only the fruits, but is peel is also very much useful. Banana peel is used as a traditional remedy to heal warts. Rub a small piece of banana peel over the wart and then tightly tape it in place. Leave it overnight and repeat this process for at least a week or until the wart disappears. You may notice that in Beauty parlours, Banana fruit facial has become common as it gives a nice shining to the skin and acts as a very good moisturizer. Bananas should be firm, but not too hard, bright in appearance, and free from bruises or other injuries. Their stems and tips should be intact. They should be left to ripen at room temperature. Unripe bananas should not be placed in the refrigerator as this will interrupt the ripening process to such an extent that it will not be able to resume even if the bananas are returned to room temperature. If you need to fasten the ripening process, you can place bananas in a paper bag or wrap them in newspaper, adding an apple to accelerate the process.